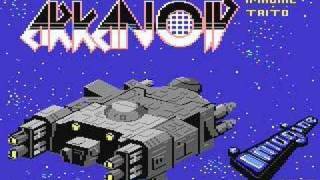 Remember Arkanoid? Maybe you're not old enough, but you can play it here right now - for FREE! 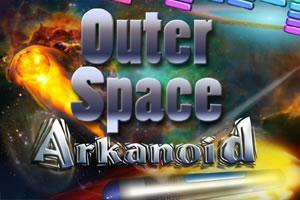 Please note that we have now replaced the flash game (which is slow and not mobile friendly) with a responsive HTML version called Outer Space Arkanoid. I remember playing this game on my Atari 800XL back in the day. Most people had Spectrums and Commodore 64's in the 1980's, but the Atari was quite superior to the Spectrum in the graphics department, although it's a great shame that it wasn't as popular as the Speccy here in the UK, at least. Anyway, let's won't get into an argument about which computer format was the best (as in the old days!) so just enjoy the game! INSTRUCTIONS: The game will take around 20 seconds to load, so please be patient! Just steer your bat left and right using the your mouse and hit the ball so that it destroys the bricks. Catching other falling items with your bat will do strange things - some good, some not so good! Sometimes you may be able to fire a weapon using your left mouse button. As 80 gamers already know, the simplest games are the best and provide instant fun, so enjoy!